Mini Bunker Escape is another new little room escape type of point and click game developed by Ainars. 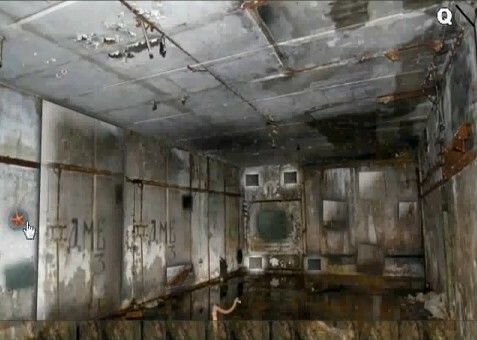 The scenario is this, you found yourself locked inside an unknown bunker and like any other sane person in this world that will be trapped inside a creepy shelter, you will have to find your way out. How? Just explore each view, gather items that can be picked up, and solve some puzzles using them. Good luck because you'll need it but do you know what you need more than just luck in order to finish this game? Yes a Mini Bunker Escape walkthrough which apparently, shows how to do all the stuff that needs to be done in this game.